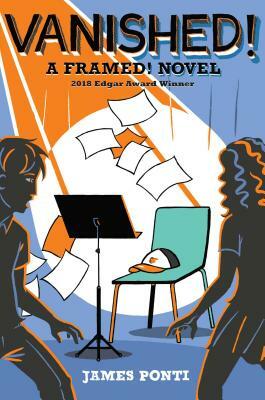 Florian Bates—the only kid on the FBI Director’s speed dial and several international criminals’ most wanted lists—must uncover the truth behind a series of middle school pranks that may or may not involve the daughter of the President of the United States in this hilarious second novel in the Framed! series. Middle school is hard. Solving cases for the FBI is even harder. Doing both at the same time—well that’s just crazy. But that doesn’t stop Florian Bates! Sounds pretty ordinary except that the pranks are happening at a prestigious private school attended by the President’s daughter who may—or may not—be involved. So Florian and Margaret are going undercover to see if they can use their TOAST skills to figure out what’s going on before the media gets hold of the story. However, once the crime-solving pair arrive at the school, they discover that there’s a lot more than a few pranks going on and the conspiracy of silence reaches all the way to the top. Then a student vanishes in the middle of a concert at the Kennedy Center and things take a sinister turn! Can Florian and Margaret save the day? Or are they about to get toasted? As in Framed! (2016), fast brain- and footwork saves the day at the last moment, but watching Florian wow everyone . . . with Holmes-style connecting of dots along the way is just as satisfying. A splendid whodunit: cerebral, exhilarating, low in violence, methodical in construction, and occasionally hilarious.